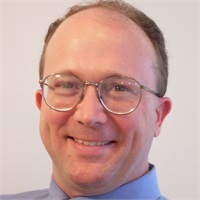 Eric started working as a Financial Advisor with employees of Hospitals, K-12 and Higher Education in 1996 with VALIC. In 2010 Eric opened the Asheville, NC branch of Williams Financial Group to help Medical Employees and Small Business Owners plan for retirement. Eric holds Series 6 (Investment Company Products/Variable Contracts), 7 (General Securities), 24 (General Securities Principal), 63 (Uniform Securities Agent State Law) and 65 (Uniform Investment Adviser Law) FINRA registrations. Eric is a a Registered Representative with Kestra Investment Services, LLC and an Investment Advisor Representative with Kestra Advisory Services, LLC. Eric is a North Carolina native and received a Bachelor’s Degree from UNC-Chapel Hill in 1990. Eric coached recreational basketball and soccer for years. He currently enjoys hydroponic and organic gardening, trout fishing in the Western North Carolina Mountains and spending time with his family.